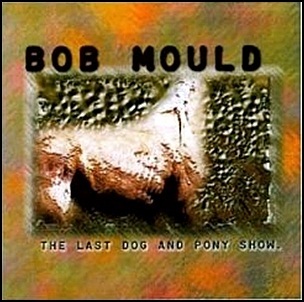 On August 25, 1998, “Rykodisc” label released “The Last Dog and Pony Show”, the fourth Bob Mould album. It was recorded in 1998, and was produced by Bob Mould. Some copies of the album include a bonus disc featuring a lengthy interview with Bob Mould conducted by Jack Rabid. 1998Alison ChesleyAlong the WayAugust 25Bob MouldBonus discClassifiedsFirst Drag of the Dayfourth albumHowie WeinbergInterviewJack Rabid.Jim WilsonMatt HammonMegamanicMoving TrucksNew #1Reflecting PoolRykodiscSkintradeSweet SereneTaking EverythingThe Last Dog and Pony ShowVaporubWho Was Around? Previous PostIn August 1977.Next PostOn August 25, 1998.